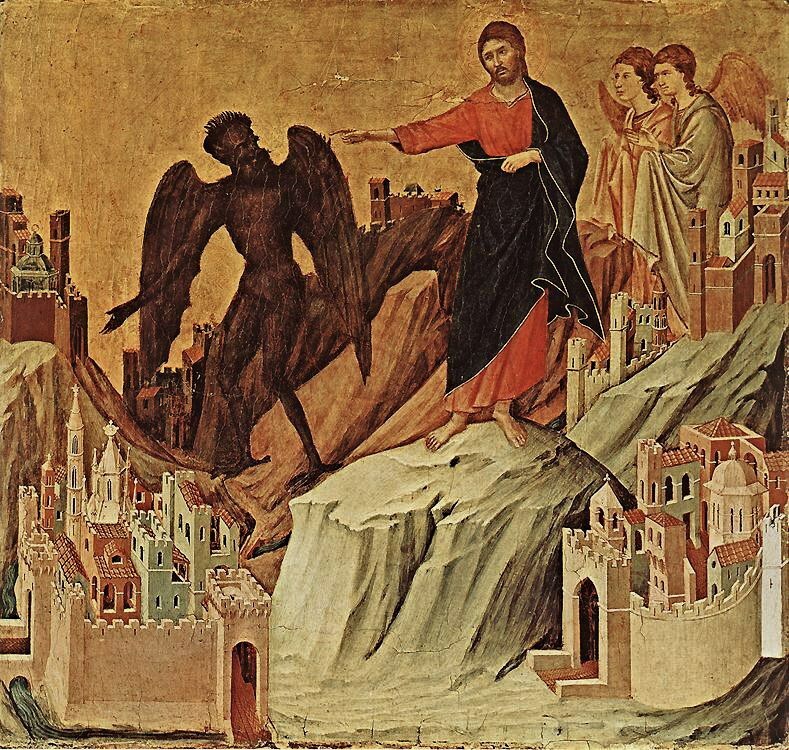 First of all we have to affirm our faith in what Saint James the apostle said in his letter, ” Let no one say when he is tempted, “I am tempted by God”; for God cannot be tempted by evil, nor does He Himself tempt anyone. ( James 1:13). Temptations and pain are the results of sin that entered into the world through the envy and the works of the devil, also death is the result of sin, and our belief is that we, in Christ- to whom is all the glory- pass over death and step on it and all it’s effects and consequences, for he has demolished the power of death. “We must through many tribulations enter the kingdom of God.” ( Acts 14:22). For that reason Saint James says in his letter, ” My brethren, count it all joy when you fall into various trials. ( James 1:2). And the only thing that makes us enter into this high spiritual experience, is faith. Therefore we do not get surprised by how Abraham raised the knife to slay his only son, Isaac offering him as a Sacrifice to God, ” By faith Abraham, when he was tested, offered up Isaac, and he who had received the promises offered up his only begotten son”. ( Hebrews 11:17). Faith does not stop temptations but it can elevate it’s owner above all temptations, seeing what is not seen, seeing the resurrection after death, heaven instead of earth, glory instead of pain, seeing Christ behind his killers faces. Seeing the mercy of God with the catastrophe and surrounding death. ” though I walk through the valley of the shadow of death, I will fear no evil; For You are with me; Your rod and Your staff, they comfort me. ( Psalm 23:4). Faith makes us throw our burdens on God during trials, making him in control to get us to safety. ” we let her drive” ( Acts 27:15). The word of God makes us successfully overcome temptations. The Lord has done this over the mountain and we have to follow his steps, Satan has tried all things and Jesus prevailed by the word ” it is written”. My beloved, whenever we stick to the word of God; we will be carried by the words’ wings flying us over the temptation, ‘You have seen what I did to the Egyptians, and how I bore you on eagles’ wings and brought you to Myself. ( Exodus 19:4). They are like the house that was built on rock ” God says”, ” and the rain descended, the floods came, and the winds blew and beat on that house; and it did not fall, for it was founded on the rock. ( Matthew 7:25). Our faith and trust in the power of the word turn our eyes to God’s hands pointing to the way out of all temptations, ” Our God is the God of salvation; And to GOD the Lord belong escapes from death. ( psalm 68:20). This faith gives us the absolute trust that God ” then the Lord knows how to deliver the godly out of temptations and to reserve the unjust under punishment for the day of judgment. ( 2 Peter 2:9). We find a lot of examples in both testaments in the Holy Bible. Take for example how God delivered Noah, Abraham, Jacob, Joseph, and how he delivered the israelites from slavery and made them cross the red sea, how he delivered David and the three young men, how he worked with the disciples like sheep amongst wolves until they reached heaven. And how Church, with Christ, has overcome many tribulations and deaths, delivering thousands of thousands martyrs and saints. Our Christ , who came out of the tribe of Judah , coming out victorious , so will we with him, ” For in that He Himself has suffered, being tempted, He is able to aid those who are tempted.” ( Hebrews 2:18). Do not ask me how will he help you during your temptations, for he has a cure for every illness, each one according to his needs shall be given from his riches, leading us to safety with his riches, power and love. God would not need a detailed explanation of our suffering, pain and grief, ” Surely He has borne our grief, And carried our sorrows”. ( Isaiah 53:4). He is our high priest ” For we do not have a High Priest who cannot sympathize with our weaknesses, but was in all points tempted as we are, yet without sin. ( Hebrews 4:15). He is also the ” wounded ” for our transgressions, He was bruised for our iniquities; The chastisement for our peace was upon Him, And by His stripes we are healed. ( Isaiah 53:5). + My beloved, we prepare ourselves for the kingdom of God by accepting trials, afflictions, persecutions, diseases and all tribulations with a thankful heart from God’s hand, being supported by absolute faith in the goodness of God and his love, fatherhood and salvation for us .